Matters of Taste came to us with a problem – their WordPress-based booking system just wasn’t working effectively for them. After an in-depth investigation, we decided that in fact WordPress was not the ideal platform for their day-to-day bookings and customer management. We helped them transition back-end operations to Rezdy, a fantastic web-based CRM specifically designed for tour & activity operators. 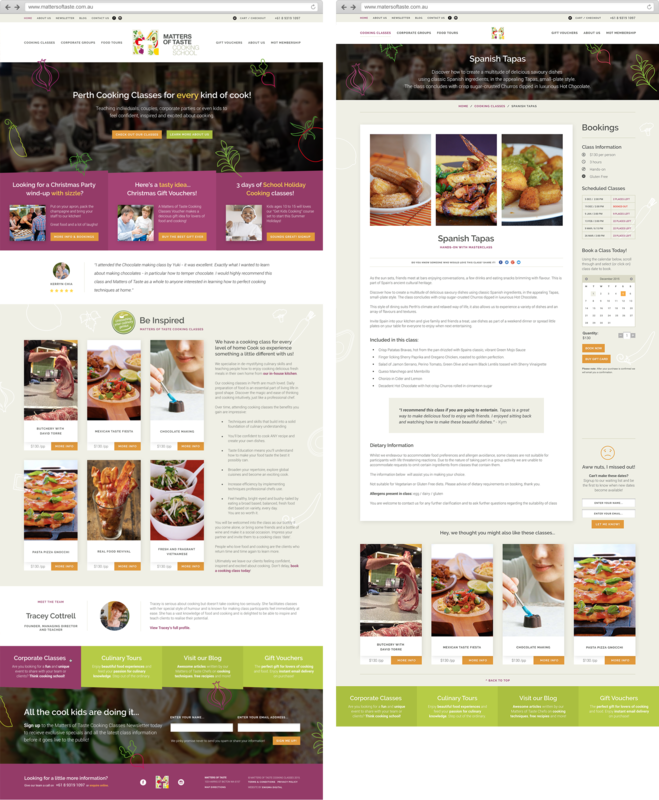 We also did a complete renovation of their existing WordPress theme, coming up with a brand new design, streamlining the code, integrating Rezdy, and making everything much easier to work with for the staff at Matters of Taste. It was a true pleasure working with Tracey and the team at Matters of Taste. I even got to attend one of their fabulous cooking classes – nice! 😉 It’s great to keep WordPress for the front-end website, but at the end of the day we all feel that the CRM features provided by Rezdy are going to be a huge step forward for the business.